Learning and Teaching: Rubbish – Reduce, Reuse, Recycle into toys! Rubbish – Reduce, Reuse, Recycle into toys! Waleed and Jacob searching for goodies! Year 5 students at Irchester have been working on a very exciting project with the Dept. of Waste Management, University of Northampton. Dr. Waleed Montasser and Louise Maxwell, and Bianca, Evie and Livia (Brazilian visiting students) work alongside our Year 5s to design, plan, resource and make different Science Takeaways all using reusable and recycled materials. Science Takeaways will be a set of four science kits with different experiments for children to borrow for the weekend and try at home. They will collect data or test hypotheses and add to the kit if they think of some new way of using it. However, we wanted to keep these takeaways as reusable and “green” as possible and didn’t want to spend a lot of money making them! Waleed had the great idea of using Phoenix Resource Centre in Raunds. They collect clean usable waste (including off-cuts of material, wood, card), surplus stocks, end of lines and unwanted goods / returns from industry and local businesses. Anything that can be re-used then gets put onto shelves for people to reuse. As you can see we did a great job of finding just the right things we needed! Today, we have visited the site for the first time to collect and resource our projects. 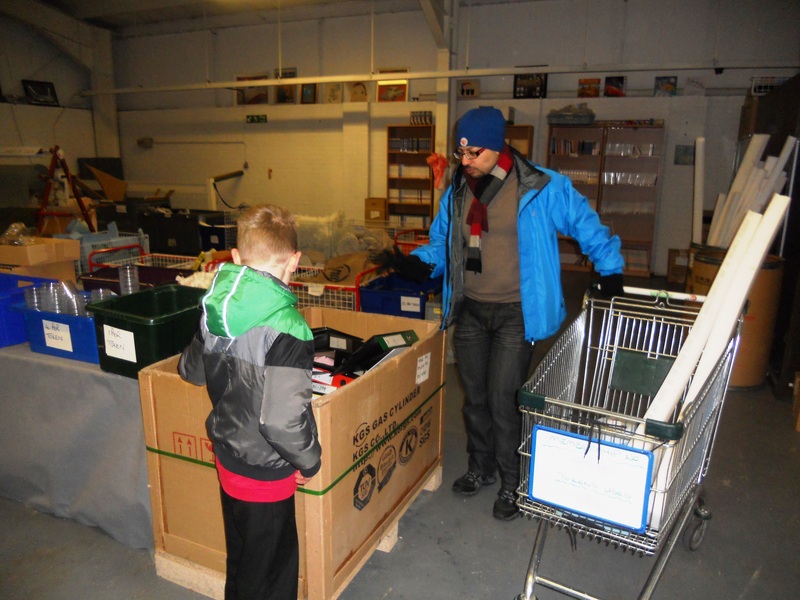 It was a freezing but really cool place and John on of the trustees helped us fill our trolleys! What they are doing there is very good for the environment even the actor who plays Ron Weasly think so and have visited them! Aimee and Livia are happy with what they have found! 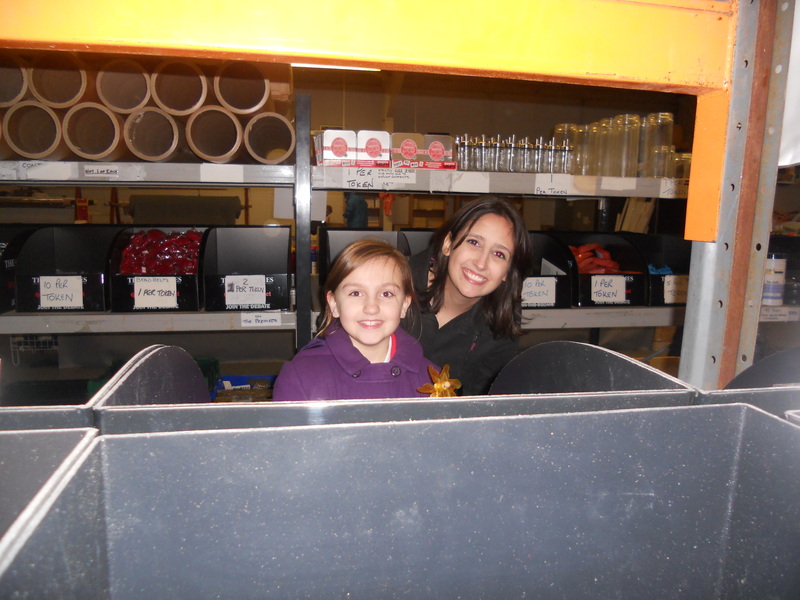 Aimee, age 9, says “I think that this is a good place because it stops all the materials from going into landfill. It makes people reduce waste and reuse things so that we can have a nice county instead of a big smelly dump in the ground!